The company Stoller Ingenieurtechnik GmbH was founded as an independent engineering office in Dresden in 1992. Our chemists, physicists, computer scientists and engineers have demonstrated our capability in the areas of environmental research, environmental consultation as well as the development of customised software on a basis of a long-standing experience. More than 25 years we are active in different engineer-technical professional subjects and research duties in an interdisciplinary way for a huge number of national and international customers. For the efficient use of the project results by our customers often engineer-technical research as well as developing and consultation activities are linked with special software and data base developments. 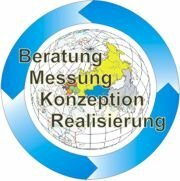 During recent months an actual environmental topic with health relevance became the problem of RADON protection in buildings in connection with the application of the German Energy Saving Order and also the sustainable health protection with regard to pollutions by LEGIONELLA colonies of modern hot water supply systems.